A few days back, I had the privilege of being hosted at the Taj Vivanta. By now, it has become a common perception that Taj properties take service to a different level and benchmark the same. 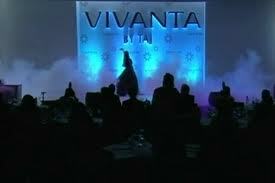 With Vivanta, that wasn’t the case. They went one better. The team takes pride in what is defined as the ‘Vivanta moment’ – a unique, often unforgettable experience for the guest that is a signature to the particular property. As a guest these experiential ‘Moments’ have stayed with me long after I checked out. They ensured quite a few of these moments during my short stay! From personalized name-tags ready before guests arrived to spectacle/ lens-cleaners given on arrival, one feels special right from the start! A wall-décor made using only spices to uniquely flavoured ‘breath-freshener’ sorbets at their restaurants… the experiences wowed me. I gathered that all of their properties try and create new moments regularly. Imagine the enthusiasm, drive, creativity, collaboration and passionate ownership required to do this! At Pragati Leadership, we often refer to this as creating and delivering the ‘AHA moment’ to our participants during our interventions. When the audience profile, needs and expectations are understood and catered to in the design and delivery of the program, such moments tend to happen in the natural flow. 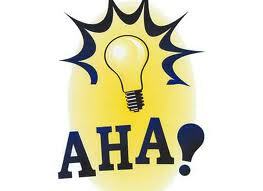 As a measure of our own effectiveness, we try and create one ‘AHA moment’ in each program. The idea is to not ‘play to the gallery’ and get momentary wows but to actually catalyze a change in attitudes, skills and knowledge. That is when there is a far-reaching impact for both people and business perspectives and it becomes an AHA – Moment for all! However, the Vivanta experience got me thinking about what it takes to continuously create such impactful moments that become cherished memories in every walk of life. How can we create such moments in our daily lives for families, our children and our spouses? 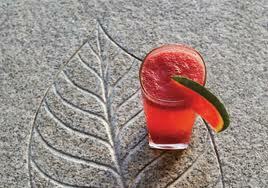 Can we do this on the spur of the moment, for guests or for complete strangers? Can we create such moments at work for our colleagues and customers? The key, I believe, is to create such moments for ourselves first, as often as possible, so that it becomes a habit… and that’s when memories get created!